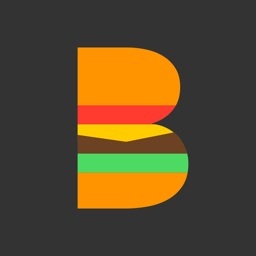 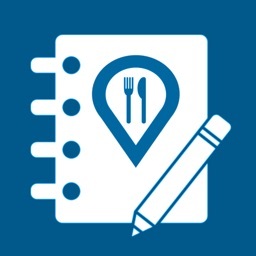 Bookmark prospective restaurants, and save visited restaurants along with notes. 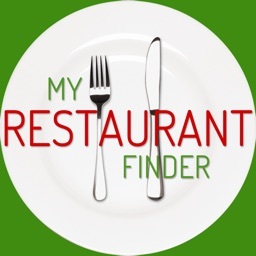 Type in search terms or restaurant names to search for restaurants to add to your bookmarks. 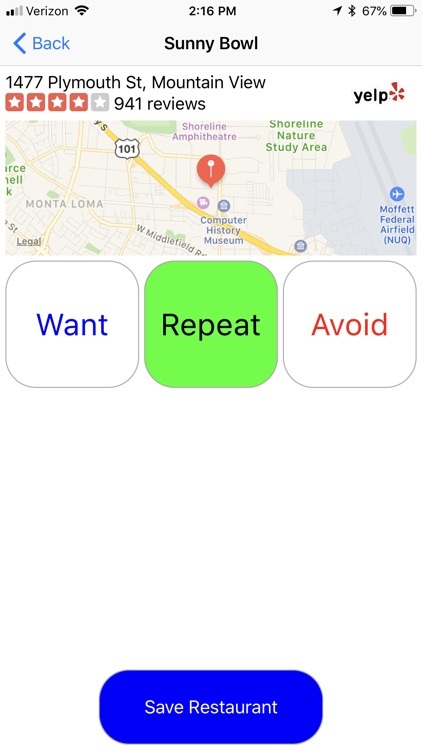 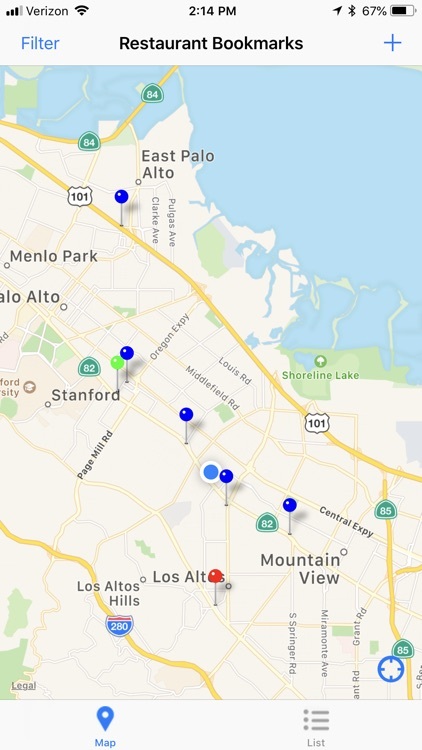 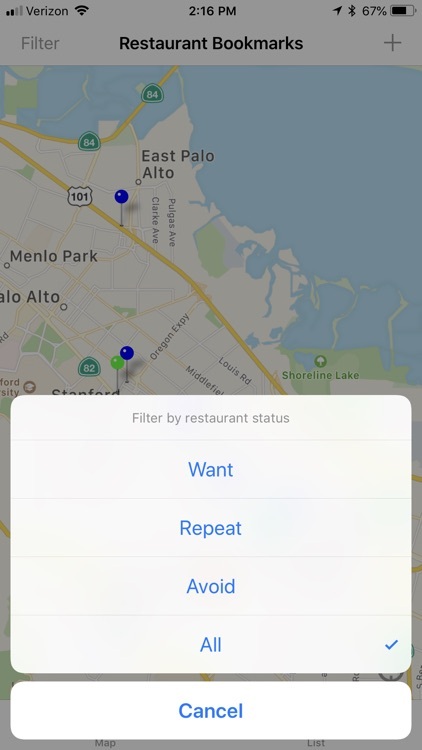 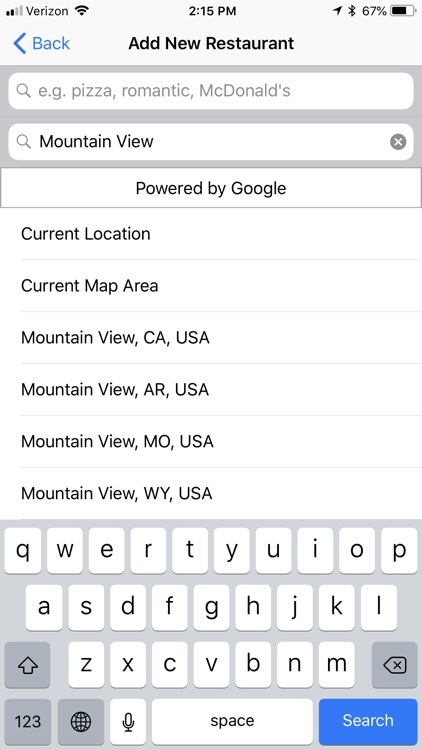 Search for restaurants near your current location, according to the current map area, or type in a location of your choice. 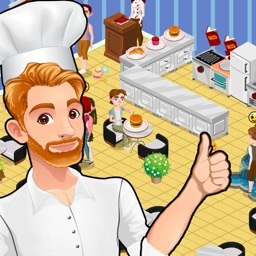 Add journal entries to each restaurant. 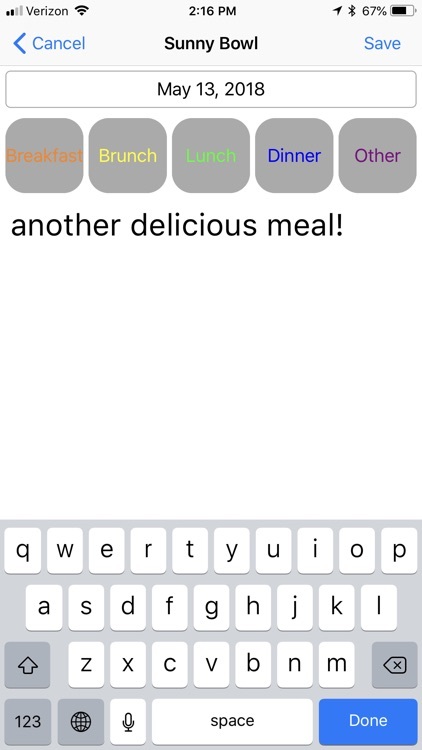 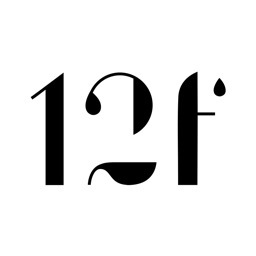 For example, notes for what dishes to try at prospective restaurants, or dishes to eat again or avoid on repeat visits. 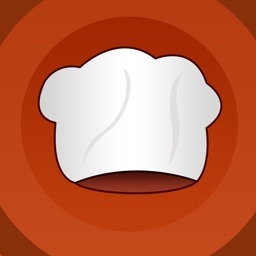 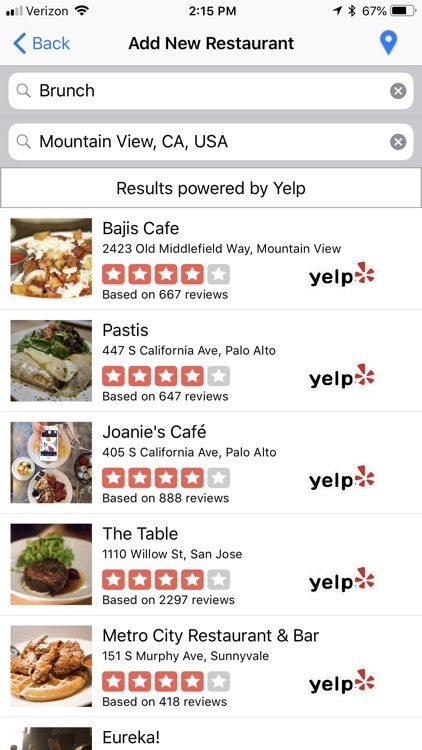 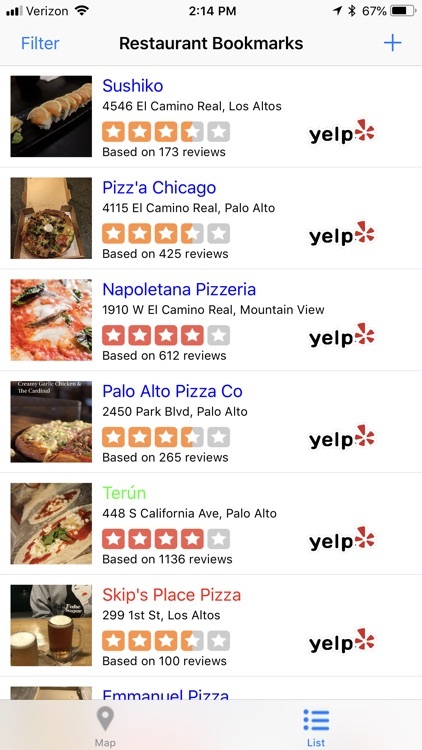 Tap the Yelp icon anywhere in the app to open the restaurant listing in Yelp.